The EUR/USD currency pair reached a minimum of a correction. Graphically, it looks like a three-wave pattern. And we can’t exclude a possibility of the fifth wave. However, technically it won’t change the targets of this descending wave. Today the price is expected to stop growing up and make a reverse towards the level of 1.2755. 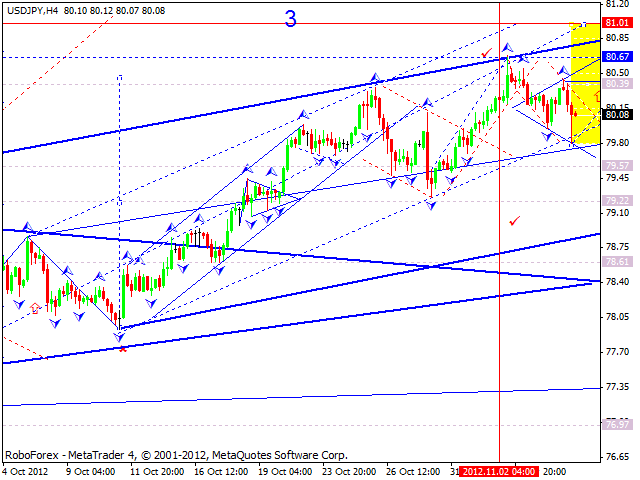 The GBP/USD currency pair completed a correction. 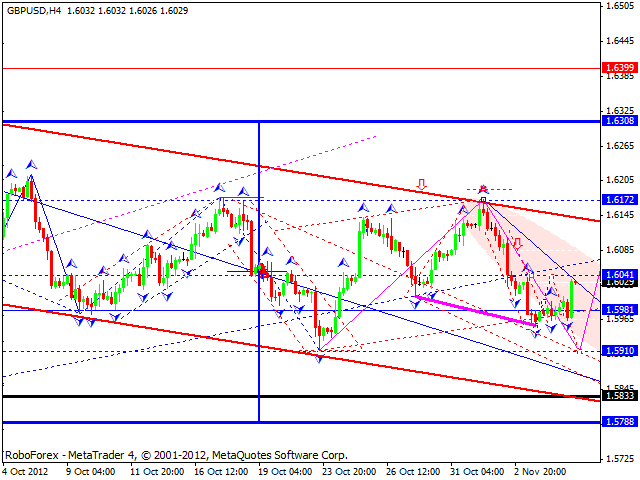 Today the price is expected to make a reverse and fall down towards another target at 1.5910. In case the pair continues moving upwards, it should be considered as an extension of the current wave. Technically, the structure is not going to change at all. The targets are below. 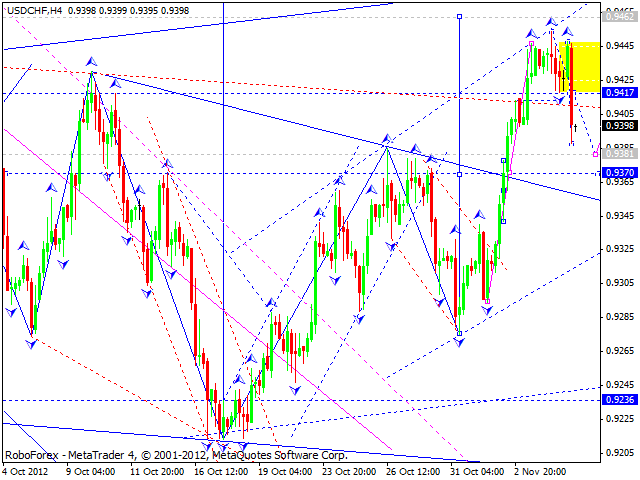 The USD/CHF currency pair completed a correction towards an ascending wave. Today the price is expected to continue falling down towards the level of 0.9380. Technically, this extension doesn’t change an overall picture. The pair may make a reverse and start growing up towards the level of 0.9462. The USD/JPY currency pair mover downwards and reached the level of 80. Today we can expect a reverse. 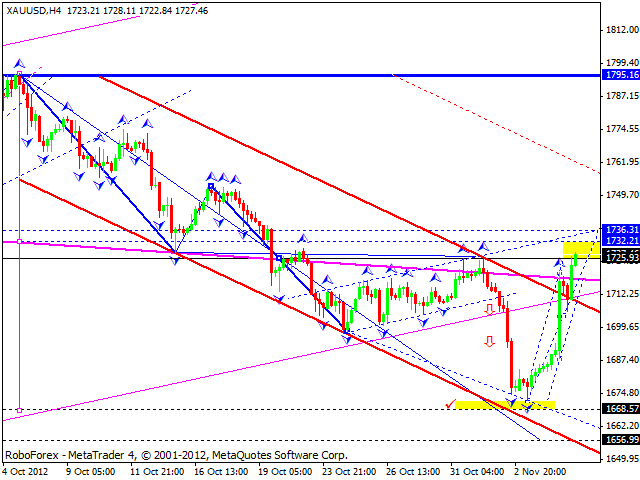 After the price breaks an hourly descending channel, a correction may be considered completed. Later the pair may continue growing up towards another target at 81. Australian Dollar reached the target at 1.4440. The market hasn’t been able to start any correction so far. 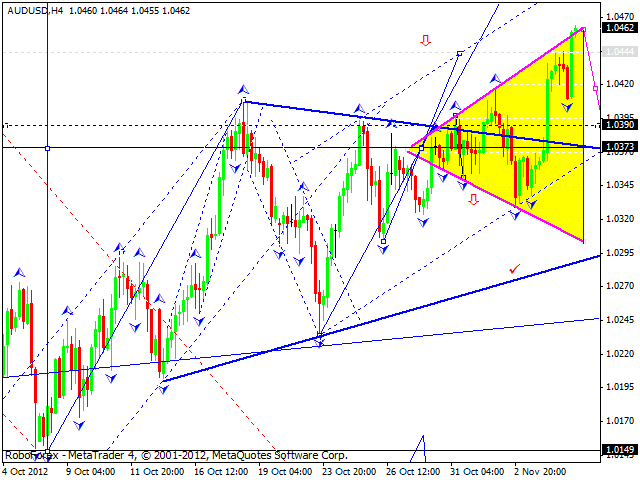 The price may break the upper border of “divergent triangle” pattern and reach the level of 1.0500. In this case the third wave may be considered completed and the target – reached. 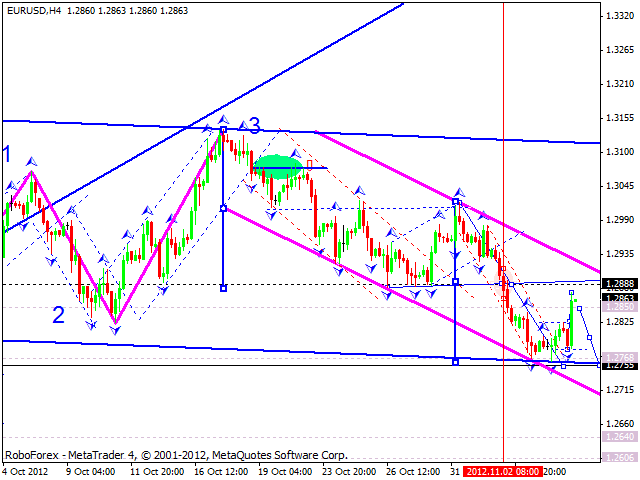 Later the pair is expected to start a more serious correction towards the target at 1.0370. Gold continues growing up. This ascending movement should be considered as a correction towards the previous fall. After the price leaves an hourly ascending channel, the instrument may continue falling down towards the target at 1657. Technically, this ascending movement doesn’t change an overall picture. The wave is strong enough to reach the target below.